Manufacturers & Exporters of Inconel Alloy 800 Pipes & Tubes, Alloy UNS N08800 Seamless Pipes & Seamless Tubes, Incoloy 800 Welded Pipes & Welded Tubes in India. Neon Alloys offer Inconel 800 is a combination of nickel and chromium alloy that has excellent tensile strength and resistance to oxidation as well as carburization properties. This alloy is extremely functional as it maintains a stable structure, even when exposed to high temperature. The Inconel is extremely resistant to corrosion, even in acidic environment. Inconel Alloy 800 is used for process piping, heat exchangers, heating-element sheathing, carburizing equipment, and nuclear steam-generator tubing. Neon Alloys one of the manufacturer & supplier of inconel alloy 800 pipes & inconel alloy 800 tubes in india. Our product includes tubes and pipes, Inconel 800 Pipes, Inconel 800 Tubes, Incoloy Alloy 800 Seamless Pipes & Tubes etc. We offer them in multitude of thickness, length and dimensions to cater to the needs of different clients. 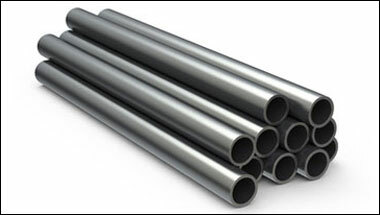 These forged Pipes & Tubes resist to many acidic environments and offer the clients long lasting usages. Inconel 800 Pipes, Inconel 800 Tubes, Alloy 800 Werkstoff Nr.1.4876 Seamless Pipes & Tubes, Incoloy Alloy 800 Welded Pipes Supplier, Alloy 800 EFW / ERW Pipes & Tubes Exporter in India. Venezuela, Vietnam, Africa, Iraq, Mexico, New Zealand, Mozambique, Nigeria, Houston, Brazil, Peru, Algeria, Sri Lanka, Argentina, Tunisia, Kuwait, Saudi Arabia, Uganda, Israel, Jordan, Egypt, Turkey, Chine, Canada, Bahrain, Malaysia, Italy, South Africa, London, Russia, Kazakhstan, Ethiopa, Azerbaijan, UK, Dubai, Australia, United States, Cameroon, Thailand (Bangkok), Democratic Republic of the Congo, Germany, Iran, Indonesia, Angola, Morocco, Sudan, Ghana, UAE, Trinidad and Tobago, Colombia. Kampala, Doha, Tripoli, Zaria, Byblos, Alexandria, Brazzaville, Kano, Pretoria, Cairo, Tel Aviv, Bamako, Istanbul, Addis Ababa, Conakry, Omdurman, Riyadh, Soweto, Yaoundé, Muscat, Abu Dhabi, Dar es Salaam, Mecca, Giza, Lubumbashi, Amman, Jerusalem, Singapore, Beirut, Khartoum, Kaduna, Sharm el-Sheikh, Tehran, Subra al-Haymah, Lusaka, Johannesburg, Benin, Mbuji-Mayi, Luanda, Durban, New York, Maputo, Rabat, Ouagadougou, Abidjan, Colombo, Aqaba, Bethlehem, Freetown, Kinshasa, Algiers, Cairo, Port Harcourt, Harare, Data from the UN, Dubai, Jeddah, Hong Kong, Ibadan, Cape Town, Dakar, Accra, Dammam, Casablanca, Mogadishu, Antananarivo, Nairobi, Fez, Port Elizabeth, Bulawayo, Manama, Douala, Kolwezi, Maiduguri, Lagos.